I am totally in love with summer! The easy days in the backyard, the little adventures the boys have been creating, the constant begging for icees. All of it! I love the city, going there for dinner or on the weekends for a short time, but man nothing beats an open backyard for the kids to play in! Rowan and Brinley have been creating some wild stories and worlds when they play. Their little imaginations have been working together and reminding me so much about my own childhood. Oh, to go back to those simple days. My current favorite is Rowan's swim club and stick club. Cause every guy needs a club for collecting sticks around the yard that were roughed off the trees during the previous night's storm! 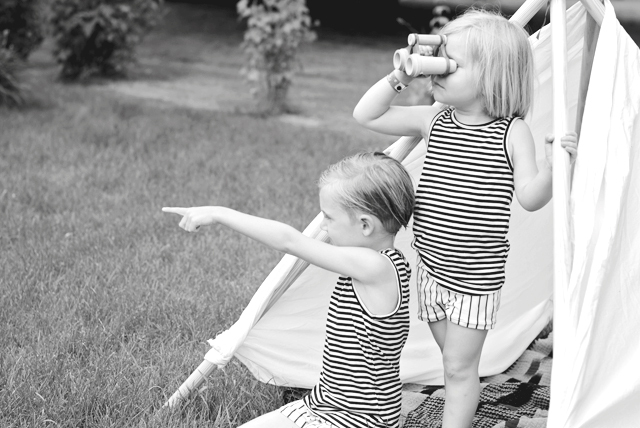 It is fun watching their little adventurous world unfold, and with it a beautiful little friendship with one another. It is so exciting to watch them play as friends! 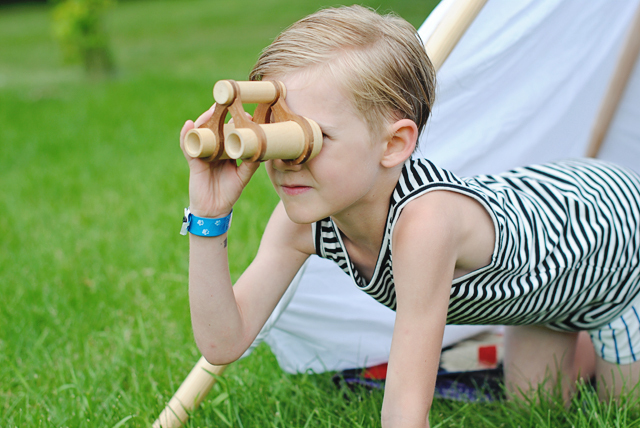 I can't wait to see what adventures this summer brings us on! Don' t forget to enter our giveaway with Four Monkeys! I am obsessed with the concept of this store, and the inspiration that Kinga has behind it all! It is so thought out with the most well-crafted items one can find. It inspires and encourages your child to be themselves yet find a way for their personalities to work with those around them! 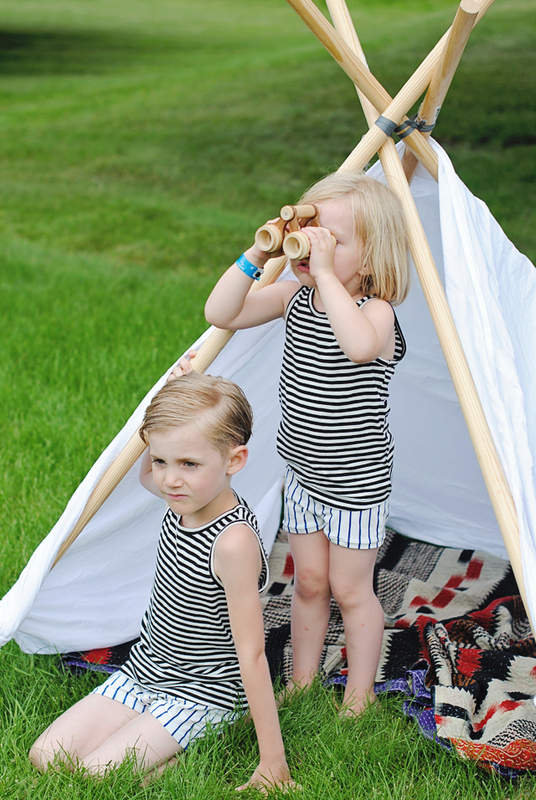 She is giving away this gorgeous Goat-Milk top and these Binoculars (both found on the rocker monkey here) so your sweet little child, no matter their personality, can enjoy the daily adventures they encounter. find the photo on instagram here to enter! thanks for your lovely words, Shaynah!! !